Diamond in the rough: how will synthetic gems affect miners? They can be square-cut or pear-shaped, and just like diamonds, they will not lose their shape. Lab-grown diamonds have received interest from consumers in recent years and as the world's leading diamond company announces plans to sell these man-made gems, girls may finally find a new best friend. De Beers announced the launch of Lightbox Jewelry, a firm that will offer high-quality fashion jewelry designs at a significantly cheaper price tag. Lightbox's lab-grown diamonds will retail from US$200 for a quarter-carat stone to US$800 for a one-carat piece. The jewelry line will feature pink, blue, and white synthetic diamonds in a range of accessibly-priced earring and necklace designs. De Beers CEO Bruce Cleaver said after decades of investment in research and development, the firm is able to offer consumers with a better price for synthetic diamonds. “Lightbox will transform the lab-grown diamond sector by offering consumers a lab-grown product they have told us they want but aren’t getting: affordable fashion jewelry that may not be for ever but is perfect for right now,” De Beers said. "Lightbox Jewelry offers consumers something new: sparkle and colors, at a very accessible price. In addition to a deep understanding of what consumers want, Lightbox brings innovation and a commitment to transparency to the lab-grown diamond sector"
CNBC recently reported that the production of synthetic diamonds is gaining traction as these lab-made gems cost around 40% less than mined ones. While sales of lab-grown diamonds take only 1% of the global market for diamonds according to a study by Morgan Stanley, the demand from consumers looking for cheaper alternatives is definitely increasing. ALTR Created Diamonds president Amish Shah told CNBC that the synthetic diamond market could inflate to as much as $1bn in two years. The changing consumer attitudes are driving the growth of these man-made gems. A recent study cited by CNBC revealed that millennials are not as interested in buying diamonds as older generations do, with many noting that they would rather purchase something produced "with sustainability and ethics in mind”. "For customers that are seeking to minimize the environmental impact of a jewelry purchase, lab-created diamonds are an ideal eco-friendly choice as they require no mining," Brilliant Earth vice president for strategy and merchandising Kathryn Money told CNBC. 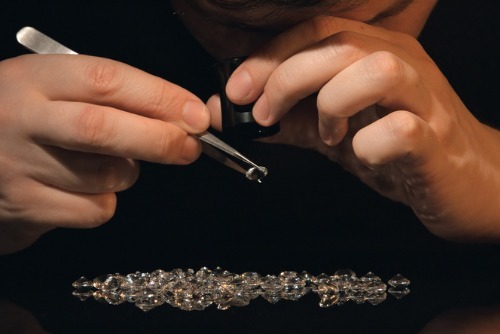 Given the sluggish sales growth in the diamond industry, will lab-grown ones make it worse? Should miners be worried? In a study published in 2016, Morgan Stanley analyst Neri Tollardo said incumbents will likely face minimal threats. "The most likely scenario is that the lab-grown diamond market finds its own niche, increasing the diamond jewelry market and taking limited market share from miners," he said. But diamond miners are challenged to step up their advertising spend to avoid losing market share to lab-grown producers. "The lack of co-ordination among lab-grown diamond producers and retailers provides a varied and sometimes confused message to the end consumer. While the mined diamond producers are working hard to tweak the official diamond nomenclature in their favour, there are a variety of names given to lab-grown diamonds, and that does not help," Tollardo said. An existential threat to miners would be when lab-grown diamonds gain the upper hand in the marketplace through both quality and price.